Carpenter Co. is the largest manufacturer of comfort cushioning in the world. Since 1948, our focus has been on quality, technology and comfort. We manufacture a wide variety of polyurethane foam and polyester fiber comfort cushioning and often develop unique products to enhance your business. We are the world's leader in research and development and continually strive to develop new products that meet our high standards as well as those of our customers. You come in contact with Carpenter Co. every day. 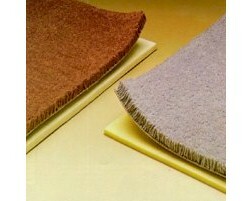 We make the carpet padding you walk on, the cushions you sit on, and the bedding you sleep on. Carpenter Co. makes furniture more comfortable, pillows more soft, carpets more cushy, and homes more cozy. We are Carpenter Co. We provide the world with comfort.